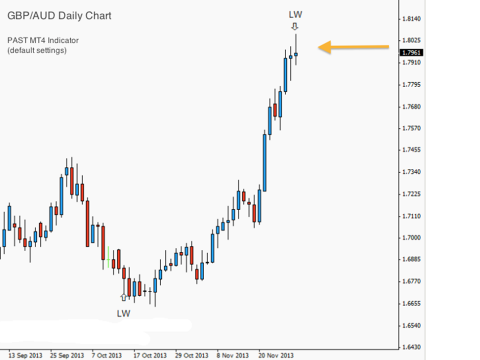 This weekly update will cover EUR/AUD – where the primary focus is on the DAILY anchor chart. 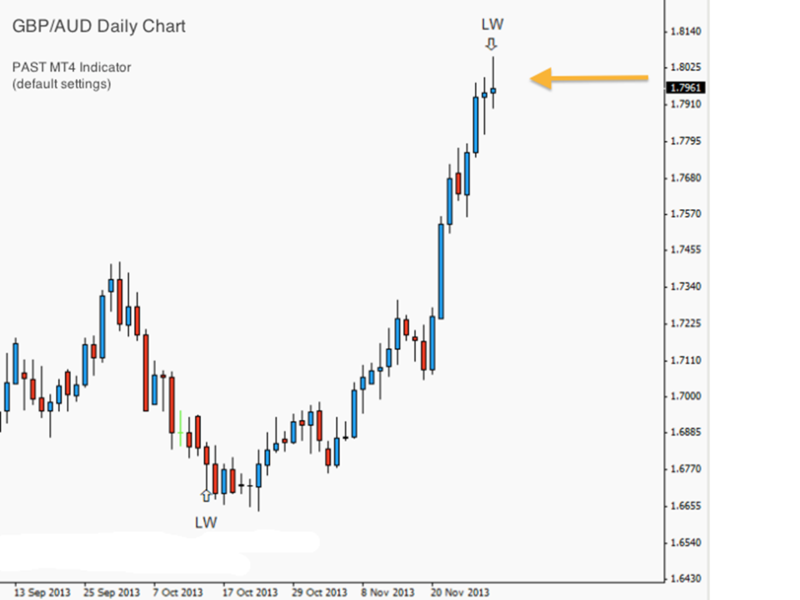 EUR/AUD has been showing some strength in recent weeks, and has been in a strong uptrend on the daily chart. On Friday, however, the bulls attempted to push the market higher but failed to hold onto the gains. It could well be that buyers are beginning to wonder whether it might be a good time to take profit. If so, price may well begin to roll over to the downside. If this does occur, we could consider participating in the move, risking as little of our capital as possible. If we are correct in this thesis, and the market does move to the downside, our job is to be aggressive and make as many pips as possible. 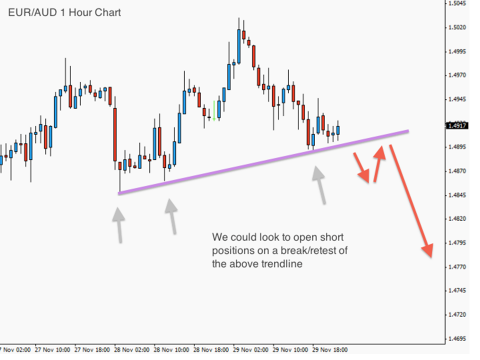 We will look to initiate short positions on a break or retest of the trendline as shown. 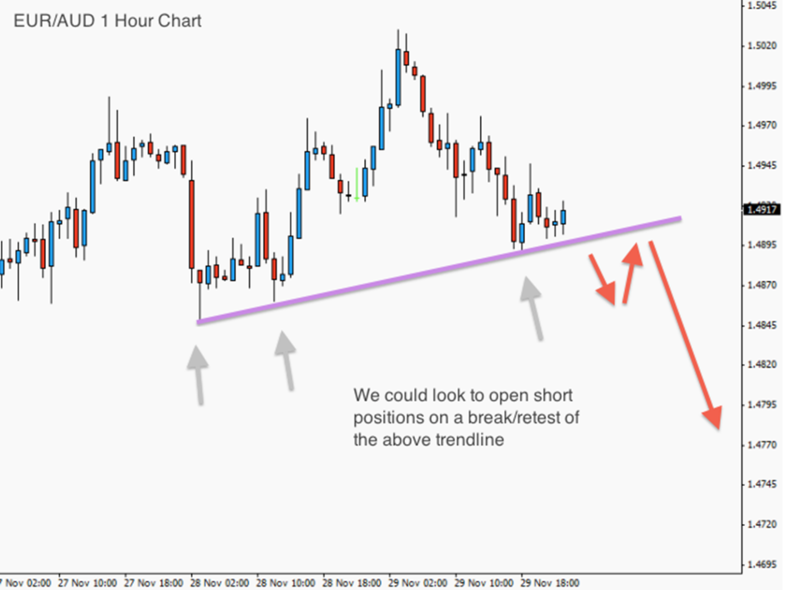 If the trendline does not break we will not trade. The PAST Anchor Chart MT4 Indicator has also identified a similar potential reversal on the GBP/AUD daily timeframe which could be an alternative to EUR/AUD – see below. 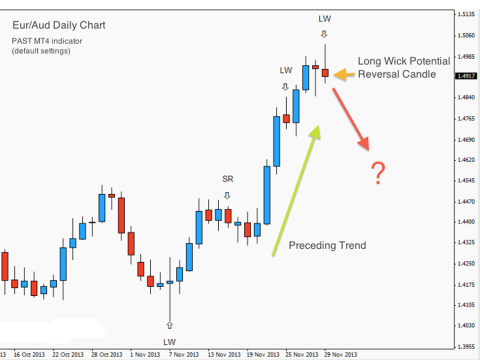 If you would like to see further updates on how we trade these signals during the coming week, please visit the PAST Strategy discussion forum at EarnForex . Thank you once again to all of the contributors on the forum, who are posting quality charts and set-ups on a regular basis. 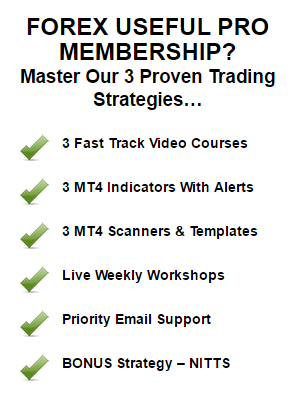 We are all learning from each other and it is turning into a valuable resource for traders who use the PAST principles to guide their trading. We learn better when we learn together!